Belize is famous for its Caribbean beaches and turquoise sea. But that is just the beginning. The country's almost 400 km long coastline boast the world´s second largest coral reef. The Cayes just off the shore of Belize, consist of over 200 large and small islands and coral atolls, protecting 70 different species of corals and more than 400 species of fish. 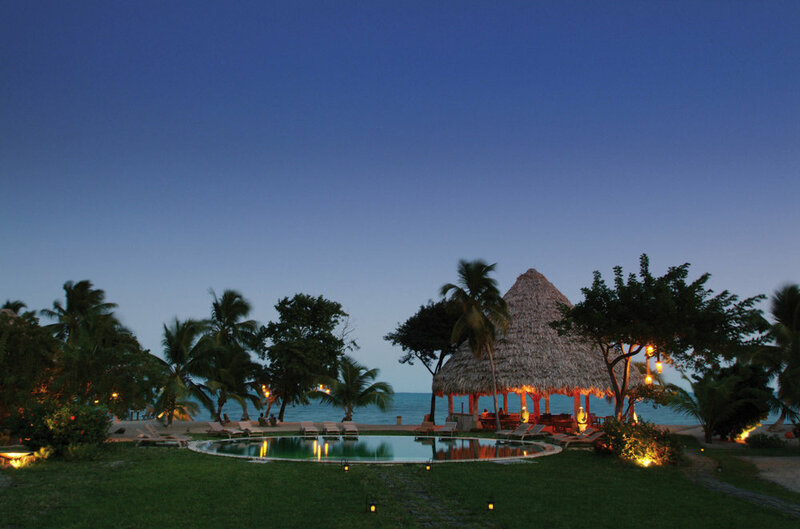 Considered to be Belize best kept secret – serenity in Placencia. Further inland, you will encounter the Cayo and Mountain Pine Ridge area. This region offers a wide variety of experiences to choose from, including canoe tours down the Macal River, and an exploratory dip in the Rio Frio and its natural swimming pools. Unmissable highlights include the Mayan ruins of Xuantunich and Caracol. The latter a partially overgrown testament to the vast amount of people — more than populate all of Belize today — who lived here during the 8th century. Absolute hot-spot for snorkeling and diving, pioneering in Belize underwater world! If you seek to relax in the remote calm, away from any disruptions, choose the beaches in the South: Dangriga and Placencia are beautiful and remote locations off the beaten path. Because of the exclusivity of this destination, we consider Belize to be one of the hidden jewels of Central America. Whether you dive the Blue Hole, swim in the Shark and Ray Alley, or visit the fascinating Mayan sites in the rainforest…Belize will enchant you!